Clean your ring yourself with household products. 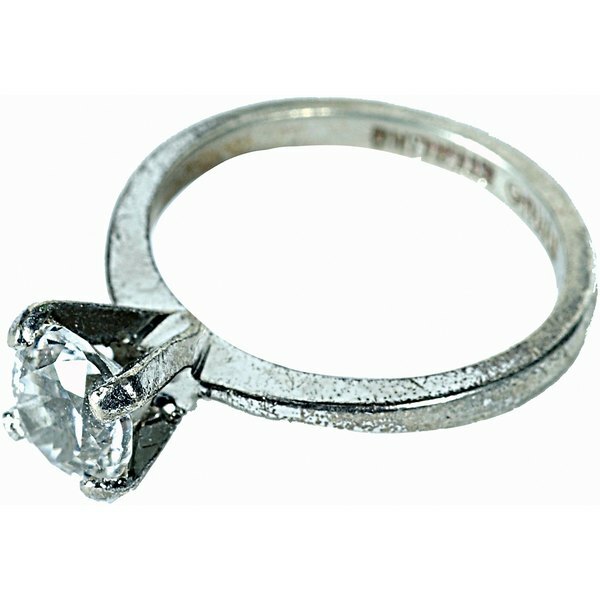 Diamonds are the hardest substance on earth, but gentle cleaning will keep them clean and shiny. If your diamond jewelry has lost its shine, use simple household products to restore it. 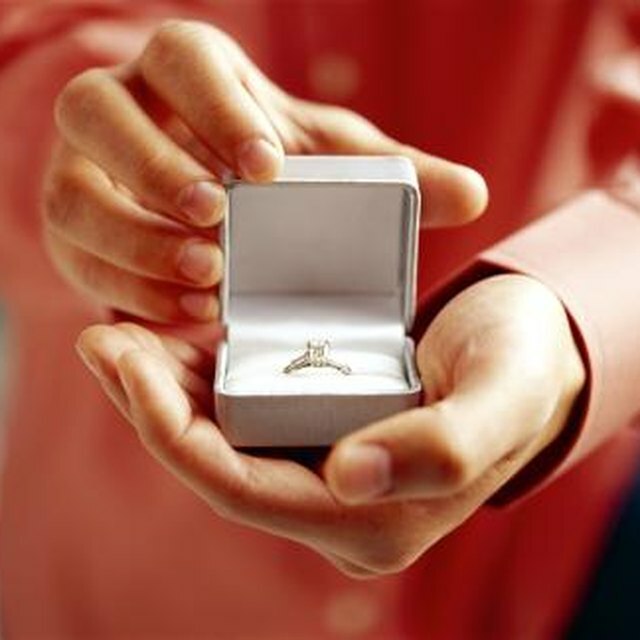 You'll get professional results, saving you a trip to the jeweler and his fee for a professional cleaning. Fill a bowl with 1 cup of water and 1/4 cup of ammonia. Soak your diamond jewelry in the solution for 20 minutes. Wearing rubber gloves, remove the piece from the ammonia solution and put it in a bowl filled with water and dish soap. The solution should be a bit foamy. Scrub the jewelry with the toothbrush to remove dirt. Rinse the piece with clean water. Dry the jewelry with a soft cloth.